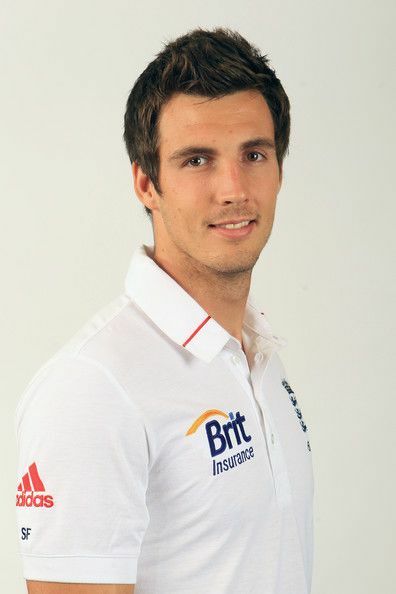 Steven Thomas Finn (born 4 April 1989) is an English cricketer. He is a right-handed batsman and a right-arm fast bowler. At the age of 16 he became Middlesex County Cricket Club's youngest-ever debutant in first-class cricket. He made his England Test debut in 2010 against Bangladesh. Finn was educated at Parmiter's School in Garston near Watford. He is a fan of Watford F.C. and a former county basketball player. Finn played locally for Langleybury CC and West Herts CC. He made his first-class debut for Middlesex on 1 June 2005, playing against Cambridge UCCE at Fenner's. He took 1 wicket for 16 runs (1/16) and 1/37 and did not bat. He became Middlesex's youngest debutant, beating the record set by 16-year-old Fred Titmus in 1949. Finn toured South Africa with the England Under-16 squad in 2005. He played in two Under-19 Test matches and three Under-19 ODIs against the Indian side that toured England in 2006, and in seven Under-19 ODIs in Malaysia in early 2007. In February and March 2010, he was part of the England Lions team to tour the United Arab Emirates, earning selection with a solid 2009 season of 53 wickets at 30.64. He impressed the selectors, and was short-listed for the 2009 World Twenty20 though was not picked for the final team. When the senior squad's bowling attack was restricted by injury at the beginning of the 2010 Bangladesh tour, he was flown in as bowling cover. He played a tour match the day after arriving, and took three wickets in some economical spells of bowling across the two innings, and subsequently leapfrogged Liam Plunkett and Ajmal Shahzad to be picked for the first Test match on 12 March 2010. He was aged just 20, and became the 647th man to play Test cricket for England. He played in both Test matches, which England won by 181 runs and 10 wickets respectively. His first wicket was Bangladeshi batsman Shahadat Hossain, who was caught by Paul Collingwood, and proceeded to take one wicket in each of the four Bangladeshi innings. A double declaration by England in the first Test meant that he wasn't required to bat until the second Test where he finished unbeaten on 0 from 10 balls. After an impressive start to the County season, including a 14-wicket match haul, he was chosen again to face Bangladesh, this time in England. In the first match at Lord's, his home debut, he took a 5-wicket-haul in the second innings as England won by eight wickets, finishing with nine wickets in the match. In doing so was compared to Angus Fraser and Glenn McGrath by many media pundits, although he also worried them by frequently falling over in his follow-through. Nevertheless, he went on to Old Trafford to take a second five-for, being named Player of the Series in his debutante international home season. Finn was not selected for the ODI series against Australia and Bangladesh, but returned for the Test series against Pakistan. Finn was quietly effective; though he did not bowl as much as fellow pace-bowlers James Anderson and Stuart Broad, he picked up 13 wickets at an average of 22.92. Finn was also part of a useful 49-run unbeaten last-wicket partnership with Matt Prior in the first Test, which enabled Prior to reach a century despite only having 63 runs when Finn came to the crease. Finn picked up five wickets in the match, including 3–50 in the first innings as England won by 354 runs. He bowled less in the second Test, taking match figures of 3–67. Finn was less impressive in the third Test at the Oval, but took 3–38 in the final Test of the series as England won by 225 runs. England won the series 3–1, though the series ended amid newspaper allegations of spot-fixing involving several members of the Pakistan team. Finn's performances during the summer saw him selected for England's squad for the 2010-11 Ashes series and he won the Best Emerging Player award at the 2010 ICC Awards. Chosen for the first Test at The Gabba in Brisbane, Finn took his first Ashes wicket catching Simon Katich off his own bowling. He later took the wickets of several of the Australian tail to finish with Test-best figures of 6–125, his third five wicket haul in only his ninth Test. He took a further 8 wickets in the next two Tests, as England won in Adelaide before Australia squared the series at Perth. Despite being the leading wicket taker in the series for either side after 3 Tests, Finn was rested for the fourth Test, which England won. His replacement, Tim Bresnan, impressed in the fourth Test and kept his place for the fifth Test as England won both games by an innings to record a 3–1 victory – their first in Australia for 24 years. Finn finished with 14 wickets at an average of 33.14. Although he wasn't initially included in the limited overs squads, he was added as cover for the rested James Anderson for the two Twenty20 internationals and the first three ODI matches. On 30 January 2011 he made his ODI debut taking 1/61 off his 10 overs and scoring 35 runs as number 11 with a late flurry at the end of England's innings in a partnership of 53 with James Anderson. He kept his place for next game where he took 2–51. In the final game of the series, he was wicket less as he finished with figures of 0–57. Having been dropped from the Test side during the Ashes, Finn faced competition from fast bowlers such as Bresnan and Shahzad to break into the team. When Sri Lanka toured in May Finn was included in the Test squad, though missed out on selection for the first match. An injury to James Anderson opened up a gap in England's bowling attack and Finn was chosen as his replacement. England's fast bowlers struggled to dismiss Sri Lanka, but Finn took 4/108 and in the process became the youngest player to reach 50 Test wickets for England. Anderson returned to fitness in time for the next Test and Finn was dropped to make room for him. 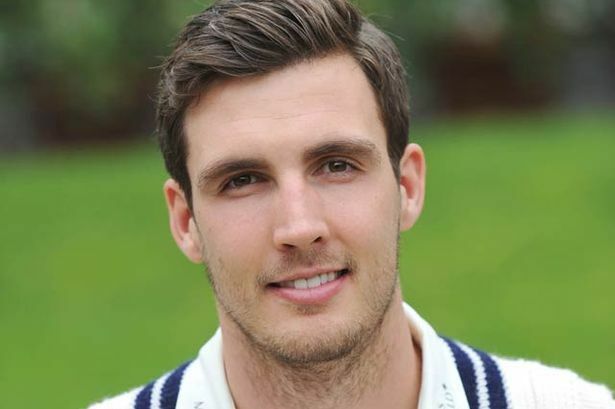 Finn was subsequently dropped from the Test squad to face India in July in favour of Tim Bresnan but recalled as cover for the injured Chris Tremlett ahead of the third Test, though he did not play. Towards the end of the season, Finn's bowling was frequently reaching 90 miles per hour (145 km/h). He played three ODIs during England's 2011 home season, taking four wickets. These included two ODIs against India, where he took figures of 1–54 and 1–44. When England toured India in October for five ODIs, senior fast bowlers James Anderson and Stuart Broad were absent, rested and injured respectively. Finn was included in the squad. In the first ODI he took 1–67 as England suffered a heavy defeat of 126 runs. He was wicket less in the second, finishing with 0–50. He performed better in the next two matches, taking 2–44 and 3–45. Finn bowled all of his ten overs in the final match of higher series, finishing with 2–47 as England lost by 95 runs. Finn finished as England's leading wicket-taker in the series with 8 dismissals at an average of 31.62. Commenting on Finn's performance in the series, which England lost 5–0, coach Andy Flower said "Coming into the series he wasn't a first-choice limited-overs cricketer for us. But he has been the outstanding bowler in our side." Finn took 3–22 in a T20 match against India following the ODI series. After the tour Finn exploited a gap in England's international schedule to join Otago to gain experience. Although Finn played no part in the Test series against Pakistan, he played a big part in the limited overs series. He took 4–34 in the first ODI and followed this up with the same figures in the next match as England went 2–0 up in the series. Finn a gained his good form in the next game as he took 3–24, before finishing off with 2–42 to help England win the match by 4 wickets and wrap up the series. He played the first T20 match, taking 1–39 as England suffered an eight run defeat. He took three wickets in the next game to help England level the series, before taking 0–31 in the final game to help England win the series 2–1. Finn played in the second test against Sri Lanka, a game England needed to win to keep hold of their number one Test ranking. Finn took 1–51 in the first innings before taking 2–30 in the second to help England win the match by 8 wickets and draw the series 1–1. Finn played in the third Test against the West Indies in June. The match was affected by rain and ended in a draw, with Finn taking figures of 3–109 in the only innings he bowled in. He played in the first ODI where he took 1–29 as England won by 114 runs. He took 1–48 in the second match as England again won, this time by 8 wickets. He took figures of 2–22 in the T20 match between he two sides. Finn was selected in the side for the second Test against South Africa, having missed out on selection for the first match. He finished with figures of 2–118 in South Africa's first innings and then 0–55 in their second. Finn kept his place for next match and bowled well in e first innings, taking 4–75, including the wickets of Hashim Amla and Jacques Kallis. He took figures of 4–74 in the third innings of the match, again dismissing Amla and Kallis and also getting the wicket of AB De Villiers. South Africa went on to win the match to win the series 2–0 and claim the number one Test ranking spot of England. Finn played in the first ODI between the two sides, but the match was abandoned due to rain. He took 1–59 in the second match and 0–42 in the third. He took 1–33 in the final match of the series to help England win by 6 wickets. He took 1–22 in his four overs in the first T20 match, but England only made 118 and lost by 7 wickets. He took 2–17 in the final match from two overs, but no result was reached due to rain. Finn was selected in the England squad for the T20 World Cup in Sri Lanka. He took 1–23 against Afghanistan as England got off to a winning start. However, they lost their next game against India, although Finn took two wickets. He took the wicket of Keiron Pollard in the next group game, but England again lost, this time by 15 runs. In the must win game against New Zealand, he took 3–16 to help England win by six wickets and qualify for he Quarter finals. However, they lost their match against the hosts Sri Lanka by 19 runs, with Finn taking figures of 1–24 in the match, and finishing he tournament with 8 wickets. 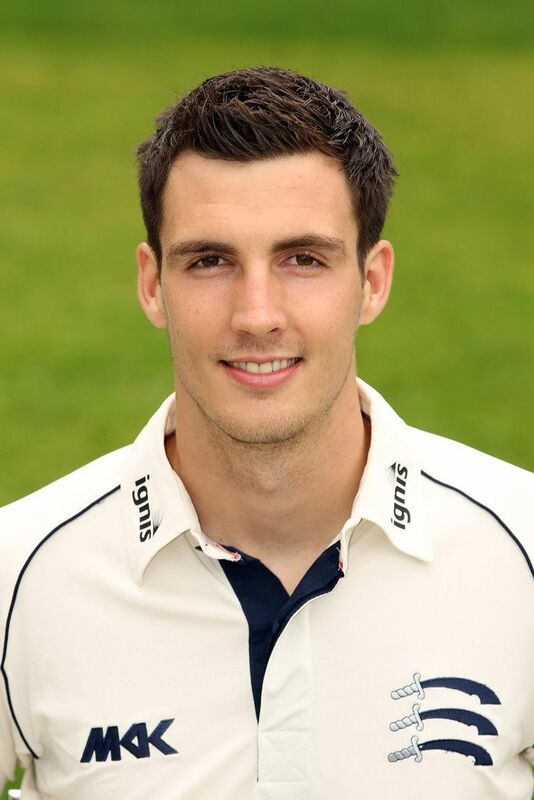 Finn was selected as part of the Test squad that toured India in 2012. However, he only played one match in the series, which was the third test. Finn took the wicket of India captain MS Dhoni in the first innings and finished with 1–73. He performed better in the second innings, taking 3–45, which included the wicket of Indian batsman Virat Kohli. England won the game by seven wickets, but Finn did not keep his place for the final match of the series. He played in all five internationals, taking 1–63 in the first match as England won by 9 runs to go 1–0 up in the series. However, they lost their next three matches, with Finn taking figures of 2–51, 1–50 and 1–39 in the three games. England won the final match of the series by seven wickets, with Finn taking 2–27 to help England end on a high. Finn was selected in the squad for the tour of New Zealand, which began with three T20 Internationals. He took 3–39 in the first match as England won by 40 runs, before ended wicket less in the second match which England lost. He finished with figures of 0–18 in the third and final match as England won by ten wickets to take the series 2–1. He played in the ODI series, taking 1–54 in the first match, followed by 1–33 in the next. He finished the series by taking 3–27 as England won by 5 wickets. Finn played in all three test matches in the series in New Zealand. He was disappointing in the first match, taking 1–102 as the first match ended in no draw dominated by batsmen. He took 2–72 and 0–36 in the next Test, which again ended in a draw. In the final match of the series he took figures of 6–125 and 1–57 before making 56 with the bat, his first International half century, as the match again ended in a draw and the series finished 0–0. 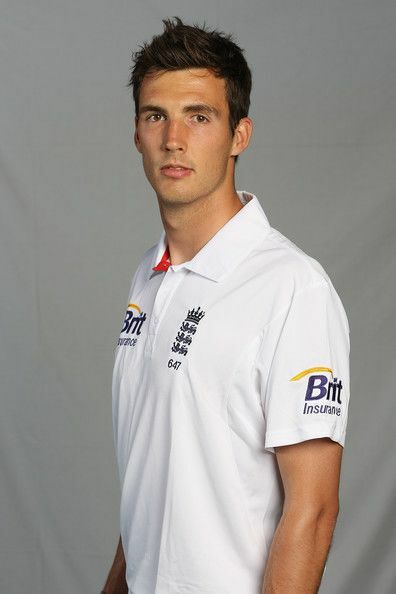 In the return series, Finn played in the first test match, taking 4–63 as England won 170 runs. Finn was not required to bowl in the second innings as James Anderson and Stuart Broad ripped through the New Zealand batting line up. He was in the wickets in the next test, taking 3–36 and 1–62 as England won by 247 runs to clinch the series 2–0. He only played in one ODI, taking 2–57 in the third match of the series as England won by 34 runs. Finn was selected in the England squad for the 2013 ICC Champions Trophy but only played a small part. His only appearance came in the semi final win against South Africa. He took 1–45 to help England reach the final. They lost the final to India, but Finn was not selected in the team. Finn was selected in the team for the first Ashes Test against Australia. He took 2–80 in the first innings, but proved expensive, going at over 5 runs per over. He took 0–37 in the second innings as England won the match to go 1–0 up in the series. However, he did not play again in the series, with Tim Bresnan being preferred to him as the third seamer. Finn was expensive in the first T20, taking 1–45 as England lost by 39 runs. He took 1–30 in the next game which England won to level the series at 1–1. He played in the second ODI, taking 2–68. The third match was abandoned due to rain. In the fourth match, Finn took 2–43 as England narrowly won by 3 wickets. After being selected for the 2013/14 Ashes tour, Finn was the only member of the touring party not to feature in any of the 5 tests, all of which were won by Australia. He was sent home after the first one-day game, with one-day coach Ashley Giles stating that "[i]n the short term, he needs a couple of weeks away. Steven is not selectable at the moment.". Former England coach, David Lloyd claimed that he had the 'yips' and was only able to walk into bowl during net sessions. Following work on his bowling action and a return to form with Middlesex, Finn was recalled to the England side for the Test series against India. Although Finn could not break into the team, he retained his place for the One Day series. He was recalled to the side for the third ODI at Trent Bridge. He made 6 with the bat before being run out, and then went on to take figures of 1–50 as England lost by six wickets. He retained his place for the next match, but England suffered another heavy defeat, this time by nine wickets. Finn was the most economical of the bowlers, taking figures of 0–38 in seven overs. England won the final match of hone series, with Finn taking 2–37 including the wicket that won the match after he dismissed Ravi Jadeja. 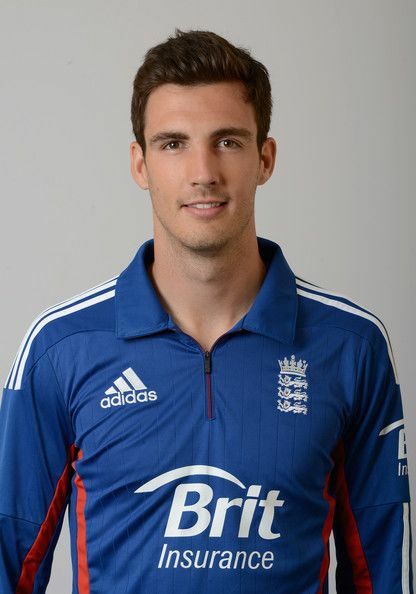 Finn was selected in the T20 side and again bowled well, taking figures of 1–28 to help England secure a narrow win. After being ruled out of the first ODI through injury, Finn played in the second match, taking figures of 1-35 in six overs. He took 1-41 in the next match, as England won their first game on the tour. He was less impressive in the next match, finishing with figures of 0-61 in 9.4 overs, as Sri Lanka hit the winning runs off his bowling. He took 1-28 in the next game before finishing with 2-53 in the sixth match of the series. With the series already lost, Finn played no part in the final match. Finn was selected in the England squad for the Tri series against India and Australia. In the first match he failed to take a wicket as England lost to Australia. He performed well in the next match, taking figures of 5-33 as England thrashed India. He took figures of 2-65 in the next match against Australia, although England lost the game, meaning they had to beat India to qualify for the final. Finn again performed well, taking figures of 3-36 to help guide England to victory. However, when England met Australia in the final England were unable to produce their best for, with Finn taking figures of 1-53. England lost the match and finished as runners up, with Finn taking eleven wickets in the series. Finn was selected in the 15 man squad for the 2015 Cricket World Cup which was to be held in Australia and New Zealand, making it Finn's first 50 over World Cup. In his world cup debut against Australia, Finn took a hat trick thus becoming the first England player to take a hat trick in a World Cup match. He ended the match taking 5 wickets although eventually Australia won the match by 111 runs. In the second match against New Zealand, Finn conceded 49 runs in just his first 2 overs against New Zealand in a loss. He kept his place for the next game against Scotland, finishing with figures of 3-26 as England won their first game of the tournament. He was again expensive against Sri Lanka, finishing with figures of 0-54. Finn played no further part in the tournament as England were eliminated at the Group stage. Finn was selected to play in the limited-overs part of New Zealand tour to England. In the first match he was the pick of England's bowlers, taking 4-35 as England secured an emphatic victory. He was less effective in the next game as England lost, taking figures of 1-69. He was wicketless in the next game, but bowled better in the fourth game of the series, taking 1-51 to help England level the series at 2-2. In the final match of the series he took 2-71, which helped England to win the match and the series 3-2. He also played in the one off T20 match, taking 0-29 as England secured a 56 run victory. 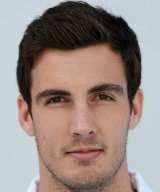 Finn was named as back-up in the first two tests in the series, and replaced Mark Wood in the third test at Edgbaston, making his first appearance in the England test team after two years. In his first over, Finn took the wicket of Steve Smith, rated the number one batsman in the world in the ICC Player Rankings. Later in the innings, he bowled Australia captain Michael Clarke, ending with figures of 2/38. During Australia's second innings, Finn again claimed the prized wickets of both Smith and Clarke, as well as his best figures of 6/79 that ripped through the Australian middle order en route to his player of the match honour. In the fourth Test of the series, Finn took 1-21 in Australia's first innings but remained wicketless in their second as England won the match in convincing style to clinch the series 3-1. In the final game of the series, Finn took 3-90 in Australia's first innings but England went on to lose the match by an innings, although they won the series 3-2. He has pace and height. He has an easy, repeatable action. He has stamina and strength and, now, he seems to have developed the skills to trouble good batsmen on good surfaces. It is not that he has just learned how to swing and reverse swing the ball, or that he now seems to gain more seam movement, it is that he has put the whole package together and added the vital ingredient – consistency – to his game. ... He has maintained a horrid, nagging length that has left batsmen unsure whether to play forward or back, he has nipped the ball both ways off the seam and gained some swing. And he has done it all at pace. He has regularly exceeded 90mph [145km/h] and left a batsman as experienced as Younis Khan saying how surprised – and impressed – he was with Finn's aggression and hostility. Prior to 2013, Finn had a frequent habit of knocking over the non-striker's stumps with his knee during his delivery. This ultimately caused controversy during the 2012 South Africa tour of England: after the South African batsmen complained of being distracted, the umpire decided to use a provision within the Laws to call a dead ball whenever Finn broke the stumps – with the first such call negating a wicket-taking delivery. In 2013, Finn changed his run-up to correct the problem; and, the ICC introduced a new law to declare a delivery a no ball, rather than a dead ball, if the non-striker's wicket is broken in the act of delivery – a regulation now commonly known as "Finn's Law". While being classified as a fast-medium bowler by Cricinfo because he averaged in the mid-to high 130/km/h, his fastest delivery was clocked at 151.9 km/h, with stamina and height which allowed him to consistently bowl at over 145 km/h, making him the 10th fastest active bowler as of January 3, 2015.